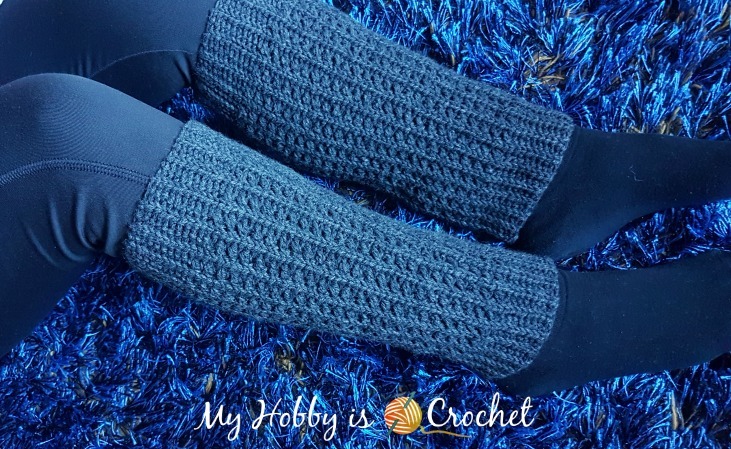 Would you believe that these legwarmers are crocheted? They could fool you with their knit look! *Disclaimer: This post includes affiliate links and at no additional cost to you, I might earn a small commission if you decide to purchase your supplies online. Thank you! These stretchy legwarmers are a great accessory to be worn over leggings or tights. 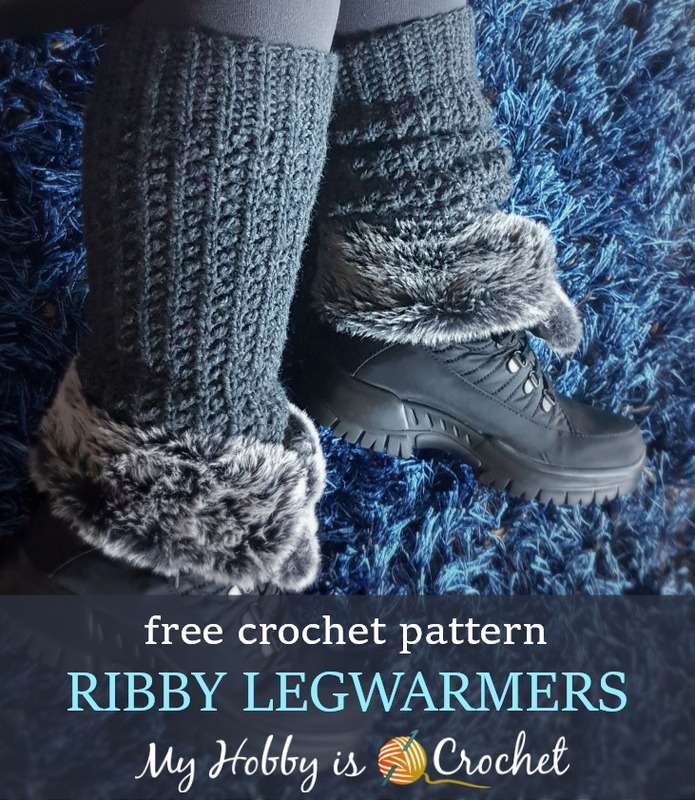 Made with sport weight wool yarn, they are really warm without being bulky on your legs. - 2 skeins of sport weight yarn, light, 3. I have used some Red Heart Crazy Wool I had in my stash for a long time; meanwhile I just found out that the yarn is discontinued.. This yarn was made of 70% wool and 30% nylon. You can replace it with other sport weight yarn with or without wool content. Red Heart Chic Sheep woul be also a great alternative! The legwarmers can be adjusted to be as wide as desired. Add less/more rows as in the pattern indicated until the legwarmers fit well around your legs. Keep in mind that the pattern is stretchy, so you will need to make them smaller as your leg circumference, otherwise they will end up being too loose on your legs. The legwarmers are worked sideways in rows, back and forth, then the sides are slip stitched together to form a tube. - back bump of chains. Click here for my picture tutorial. Yarn Over Slip Stitch (yo-slst): Yarn over (yo) and insert the hook into 2nd chain from hook; yarn over and draw the yarn through the chain (You have now 3 loops on the hook). Having the 3 loops on hook, pull/slip the first loop on hook through the next 2 loops on hook to complete a Yarn Over Slip Stitch (yo-slst). Click here for my PICTURE TUTORIAL! Yarn Over Slip Stitch Back Loops Only (Yo-slst-blo): work the stitch as described above, but inserting the hook only into the back loops of the stitches. Front Crossed Half Double Crochet worked into back loops only (fcr-hdc blo) : sk 1 st, working into back loops only, work 1 hdc into the next st, 1 hdc back into skipped st going in front of the last hdc just made, so as not to catch it, inserting the hook from back of the work to the front into the back loop of the stitch. Rows 4 - 42: Repeat Rows 2-3, ending on the right side with a row 2 repeat. Fold the piece into half with the right sides facing together, hold Row 1 edge on last row edge. Chain 1 and slip stitch the edges together inserting the hook through the back loops of the stitches of both sides. Cut yarn. Fasten off. With yarn needle, weave in all ends. Turn the legwarmers on the right side. You’re done with the first legwarmer! Make a second legwarmer. I hope you have enjoyed this pattern/ tutorial! For more free crochet patterns and tutorials, please visit my FREE Crochet Pattern Page! 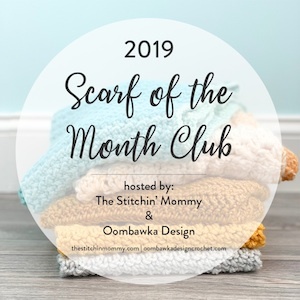 Please don't repost the pattern itself to any other sites, but please share the link to the pattern if you want to share the pattern with others. You may not give away copies of this pattern. Do not make video tutorials or translate my pattern in other languages without my written consent! Thank you.